The now defunct Department of Caffeine (D.O.C.) on Duxton, Ninja Bowl takes over. Bringing you healthy fusion Japanese bowls and brunch. Pan-seared Hokkaido scallops, mussels, lemon butter sauce, mixed mushrooms and carrots [Kaisen -S$16] or [Tsukiji -S$16] Tuna tataki, asparagus & edamame, onsen egg, pickled cucumbers, cherry tomatoes and furikake. 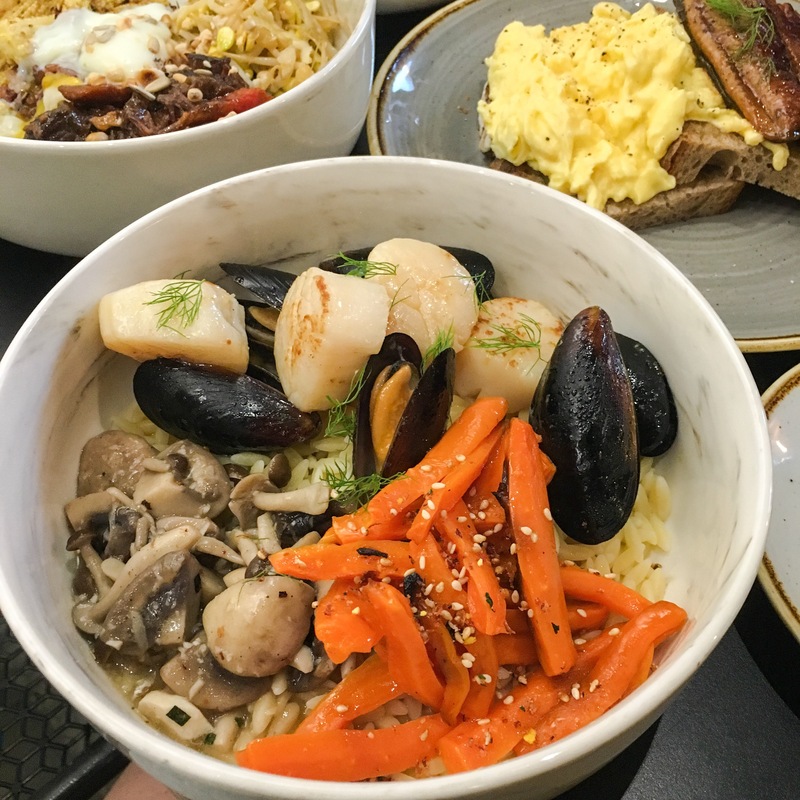 Their ‘ Ninja Bowls’ which excludes carbs, starts from S$14 onward for Geisha; Roasted pumpkin, mushrooms, tomatoes, buttered carrots, onsen segg and furikake. Of which you can add $3 for Quinoa or $2 for Ninja Rice, Orzo or Garden Greens. Brunch [ Japanese Take on brunch ] is available all day and includes dishes such as Yoghurt & Granola [S$9], Una Tama [S$19] Yaki unagi, scrambled eggs on toast. Tonkotsu Spirit [S$16] Japanese aburi cha shu, melted cheddar toast, smashed avocado and poached eggs. Parking [Coupon & EPS] available on Duxton Hill. 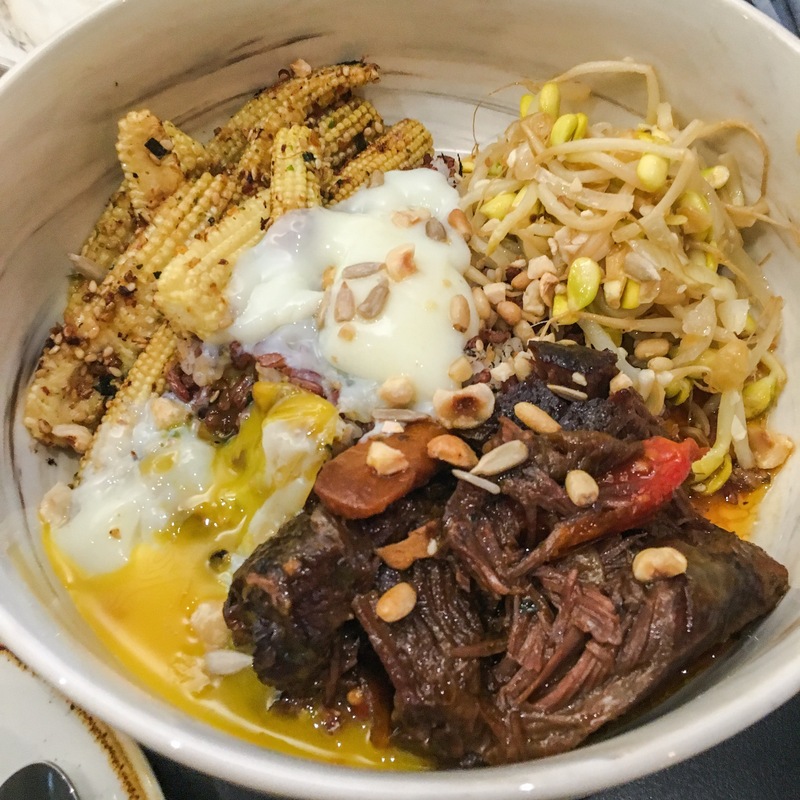 Noka [S$14] 24-hour braised beef cheek, baby corn, Korean beansprouts, mixed nuts, onsen egg, pickled cucumbers, cherry tomatoes, furikake. Kaisen [S$16] Pan-seared Hokkaido scallopss, mussels, lemon butter sauce, mixed mushrooms, carrots. 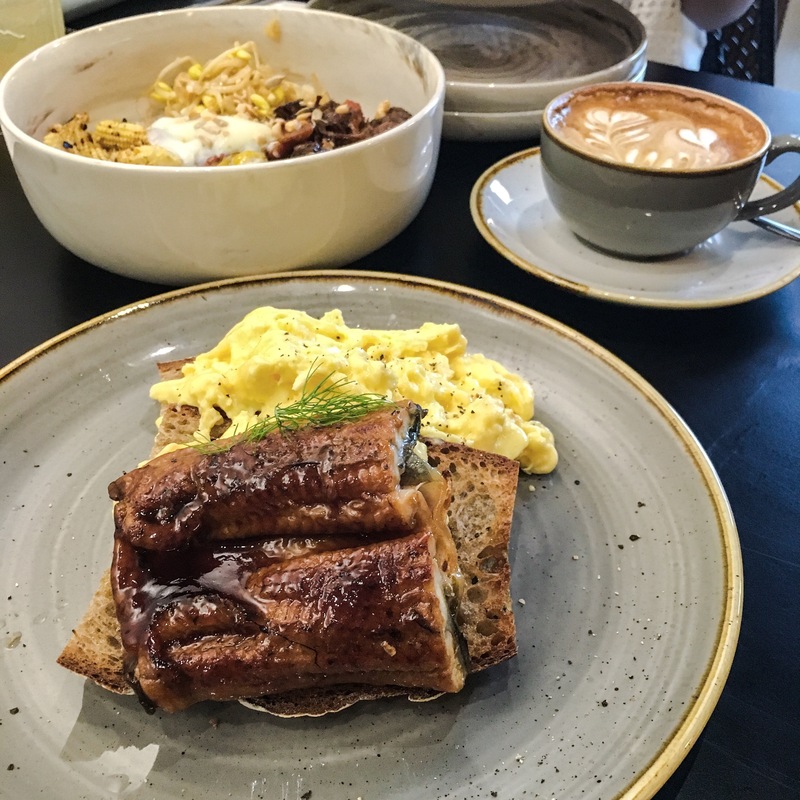 Una Tama [S$19] Yaki unagi, scrambled eggs on toast. The unagi was good but eggs were bland and over done. Will I Return O-Meter : Yes. Clean and healthy Japanese fusion food. Can’t wait to come back.